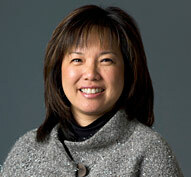 Debra Wong Yang is a partner in Gibson, Dunn & Crutcher’s Los Angeles office. Reflective of her broad practice and comprehensive abilities, Ms. Yang is Chair of the Crisis Management Practice Group, former Chair of the White Collar Defense and Investigations Practice Group, which includes the FCPA Practice Group and former Chair of the Information Technology and Data Privacy Practice Group. She is also a member of the firm’s Executive Committee. Drawing on her depth of experience and record of success, Ms. Yang focuses part of her practice on strategic counseling. She leads critical representations, both high-profile and highly confidential, involving a wide variety of industries, economic sectors, regulatory bodies, law enforcement agencies, global jurisdictions and all types of proceedings. Her clients are in the private and public sectors. She guides teams of attorneys and outside consultants in the development and implementation of strategies to achieve the most favorable outcomes, greatest protection of reputational interests and minimalizing of harm to the business assets. Ms. Yang has been recognized for her compliance-related accomplishments. In 2013 Ethisphere Magazine recognized her as one of the “Top Guns” in the “Attorneys Who Matter” category, one of the highest categories possible. Ethisphere Magazine is a publication of The Ethisphere Institute, which promotes best practices in corporate ethics and compliance. Ms. Yang has long represented companies, boards, and audit and other board committees in internal investigations, compliance-related issues, and criminal investigations regarding the FCPA, health care laws, financial controls, trade secrets, and cyber/data intrusions, among multiple other areas. She serves as Special Counsel to a corporate compliance committee. She is experienced in overseeing teams of lawyers conducting internal investigations and has frequently reviewed and revamped compliance programs in a variety of industries. She has managed cases in the crisis arena relating to corporate governance, entertainment, gaming, recalled products, health care, and insurance. She was twice appointed as a corporate compliance monitor on health care matters, once by the U.S. Attorney’s Office for the District of New Jersey and once by the New York State Supreme Court at the request of the New York Attorney General’s Office. She authored the article “FCPA Program Continues to Focus on Individuals” along with Michael Wong in The Daily Journal, April 2016. Ms. Yang launched Gibson Dunn’s Information Technology and Data Privacy Practice Group, which focuses on a field in which she has maintained particular interest and proficiency since prosecuting one of the first computer hacking cases as a young Assistant U.S. Attorney. Ms. Yang was selected to serve on President George W. Bush’s Corporate Fraud Task Force and to chair the Attorney General’s Advisory Committees on Intellectual Property and Civil Rights. She was appointed by the Attorney General to sit on the Attorney General’s Advisory Committee and on the Intellectual Property Task Force. Among the numerous articles Ms. Yang has written is “Countering the Cyber-Crime Threat,” co-written with Brian M. Hoffstadt and published in the Spring 2006 edition of American Criminal Law Review. Ms. Yang was appointed U. S. Attorney in May 2002 by President George W. Bush, becoming the first Asian-American woman to serve in that capacity. Prior to this service, Ms. Yang was a California state judge. She was appointed to the Los Angeles Municipal Court in 1997, serving for a time as a Supervising Judge, and became a member of the Los Angeles Superior Court bench in 2000. She was an Assistant U. S. Attorney for seven years prior to her judicial career, a role in which she prosecuted violent crimes, white-collar crimes, arson and computer crimes at the trial and appellate levels. She has served on the Ninth Circuit Jury Reform Committee. Ms. Yang has remained active in the local and legal communities, roles for which she has been frequently honored. She is currently a member of the Council on Foreign Relations. In 2009, she was selected by Los Angeles Mayor Antonio Villaraigosa to serve as a Los Angeles Police Commissioner, part of the civilian oversight committee of the LA Police Department. Ms. Yang has been an adjunct professor at the USC School of Law and has instructed at the National Institute of Trial Advocacy and at California’s Judicial College. She is a former president and board member of The Chinese American Museum in Los Angeles. She is on the Executive Committee of the prestigious Committee of 100. In 2012, the Anti-Defamation League presented Ms. Yang with its prestigious Deborah Award, which honors “extraordinary women of achievement.” The award was given in recognition for her “professional and philanthropic dedication to the Los Angeles community.” In 2010, she was named by the Los Angeles Chapter of the Federalist Society as Lawyer of the Year. She previously served as a founding member and officer of many Asian-American bar organizations in Chicago and Los Angeles. Ms. Yang was recognized by The National Law Journal as one of the Top 50 Most Influential Minority Lawyers in America in 2008. She has been recognized as a champion of civil rights by both the Los Angeles City Council in 2002 and the Inglewood Superior Court. The Asian Pacific Bar Association selected her as the 2002 recipient of its Public Service Award and the National Asian Pacific American Bar Association selected her as the 2003 recipient of the Trailblazers Award. In 2004, she was appointed to the President’s Council for Pitzer College of the Claremont Colleges and was given the inaugural Distinguished Alumni Award. Ms. Yang received her Juris Doctor in 1985 from Boston College Law School and was a law clerk to the Honorable Ronald S.W. Lew in the U.S. District Court for the Central District of California. Overseeing the response for an online company in challenges from federal, state and regulatory entities over the legality of the product. Presided over teams focused on legal challenges in a number of states, coordinating the public response and message, working closely with management and counsel in crafting strategies and defenses. Part of the ride-sharing trial team in high profile matter over whether drivers were independent contractors or employees. Representing an independent oil refiner in criminal matters arising from a multiple-fatality industrial accident. Counseled in connection with a criminal investigation into the incident by the EPA Criminal Investigation Division and the WDWA U.S. Attorney’s Office resulting in no charges affecting the company or any individuals. Represented manufacturer in electronic device industry in high profile litigation and interfacing with government authorities.